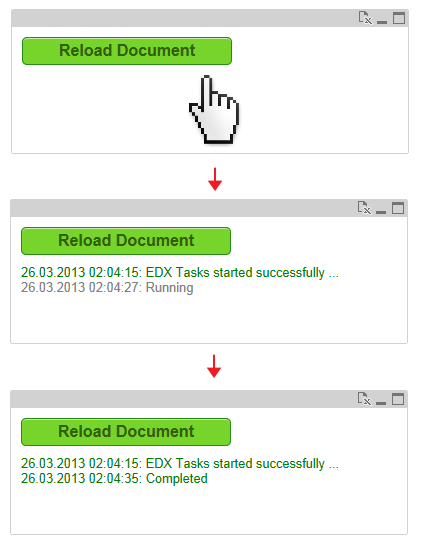 It is quite easy to reload a current QlikView document if you are using the IE-Plugin or QlikView Desktop. But achieving the same result if you are using the Ajax-/Web-/Mobile-Client is a bit more demaning. 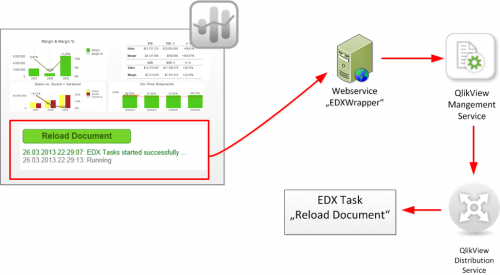 You can find the source-code, detailed documentation, install-files on a dedicated project site on CodePlex.com. 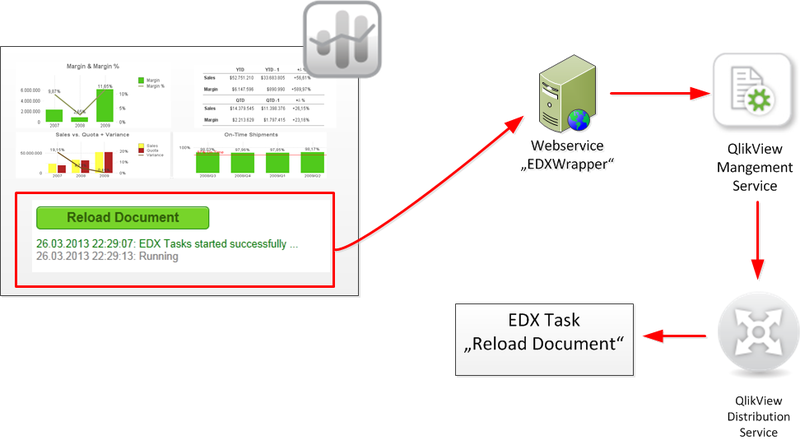 and tagged EDX, Event Driven Execution, Extensions, Object Extension, Publisher, Tasks. Bookmark the permalink. Both comments and trackbacks are currently closed.